Daughter at a free in-store performance at Amoeba Records in Hollywood, CA. 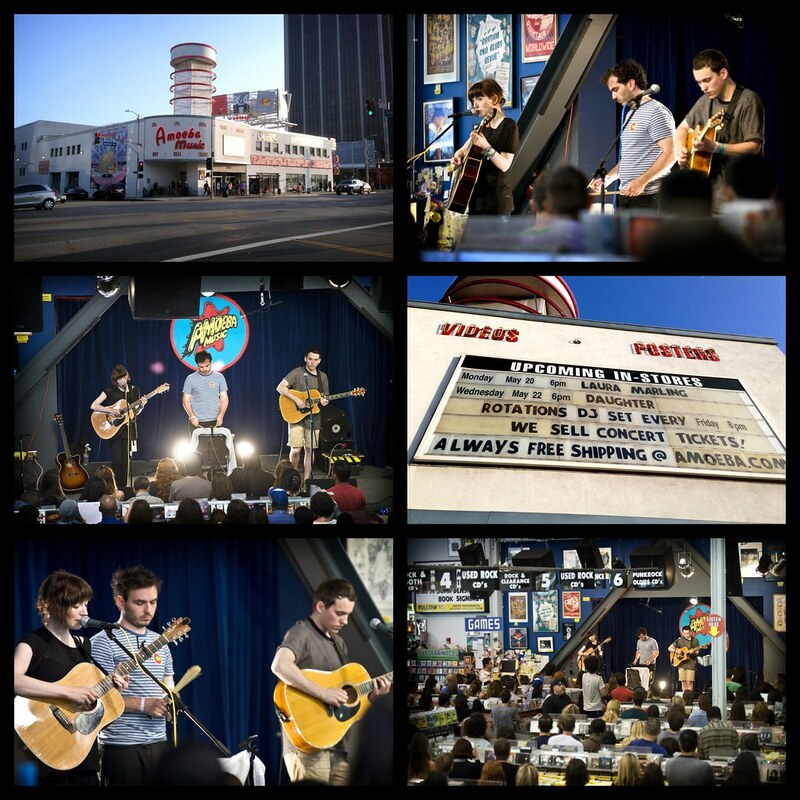 London-based trio, Daughter performed a free showcase at Amoeba Music in Hollywood before closing out their North American tour at two sold-out shows at The Troubadour. Daughter, led by Elena Tonra, quickly gained a loyal and huge following after their first two critically acclaimed EPs. Now, they've just released their debut album If You Leave, released April 30th, and having completed their U.S. run, are hitting the music festival circuit in Europe. Daughter performs "Landfill" off their first EP His Young Heart.